Remix your style whatever your mood with Swarovskis Remix Collection. 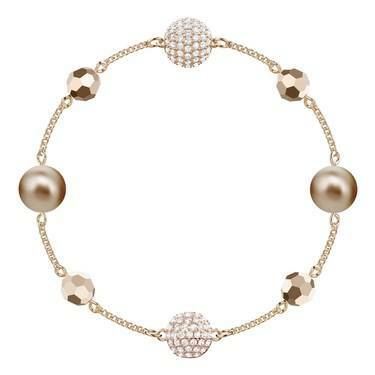 This rose gold plated bracelet features sparkling Swarovski crystals and an innovative invisible magnetic clasp. This clasp allows you to clip this bracelet onto other pieces from the Remix collection to create necklaces, wrap bracelets and much more! Shop the rest of the Remix Collection to be inspired. Is this a M size or not?